Ýê³Éâ ÉâlâdÖlâ ±ªfÖlâ ²»K ÏêÔêÌâ°±·°[wê©? Àâ°uâwÖyâ s²dâ°_dâîfê ¾©râ°Àâ Ñ·°±° dÖÉâ·[! Good and Bad Omens : Where are thay? Sri Taralabalu Jagadguru Brihanmath awards Scholarships to the poor and meritorious students every year. Hundreds of students are benefitted by this project. 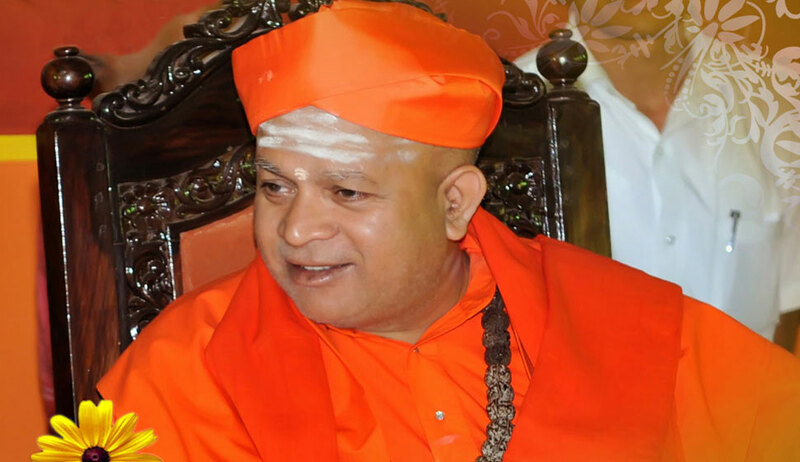 For the last four years, Dr. Shivamurthy Shivacharya Maha Swamiji has been writing a Weekly Column entitled “Bisilu Beladingalu” on every Thursday in Vijaya Karnataka, a popular Kannada News Paper. Ganakastadhyayi - a unique software on Sanskrit grammar based on the Sutras of Panini. Ganaka Vachana Samputa - a unique software on the Vachana Literature of 12th century AD. Sri Taralabalu Jagadguru Brihanmath is well-known in Karnataka for its yeoman service in the field of rural education. Under the auspices of this organization are running more than 172 institutions right from Nursery Schools to the Engineering College all over the State of Karnataka. Nearly 40 thousand students are studying in various schools and colleges of this organization which is one of the biggest private Educational Organization in Karnataka. More then Six thousand students are provided with free boarding and lodging. Sri Taralabalu Jagadguru Brihanmath, Sirigere is situated in Chitradurga Dist and is having a very large number of followers. It was founded by the saint "Marulasiddha" during 12th century AD. The saint Marulasiddha blessed his successor with the divine words "Taralabalu !" (Long Live! My Child!) and that is how the pontiffs of this sacred seat are came to be known as "Sri Taralabalu Jagadguru". True to the spirit of the blessings of their founder, the pontiffs of this Brihanmath have been rendering yeoman service for the upliftment of the society for the last eight centuries. The present pontiff of the Brihanmath is Dr. Shivamurthy Shivacharya Mahaswamiji who succeeded to this religious seat in the year 1979. The swamiji is an eminent Sanskrit scholar with Ph.D from Banaras Hindu University. His Holiness is also the President of the Education Society. Treading the path of his predecessor, the Swamiji has been relentlessly striving for the upliftment of the rural poor and the downtrodden. The role of technology in the development of any country is well known. It is the content and quality of technical education that ensures tha availability of technology in the country. When the whole world is emerging as a global village, it is technological edge of a country that enables it to survive in this competitive world. It is only institutions having enlightened management and qualified, dedicated faculty that could ensure the avialability of technical personnel to meet the needs of a country. Sirigere is situated on the Poona- Bangalore National Highway (NH4). It is at a distance of 227 KM from Bangalore and is located between Chitradurga (27 KM) and Davangere (50 KM) the District Head Quarters, From the National High Way, Sirigere is just 6 KM. If you are coming from the direction of Bangalore, please get down at Chitradurga and change the bus to Sirigere. If you are coming from the direction of Poona or Hubli-Dharwar please get down at Davangere and change the bus to Sirigere. There are many buses plying from Chitradurga and Davangere to Sirigere at regular intervals. If you miss the direct bus to Sirigere, you can board in any bus plying between Chitradurga and Davangere, and get down at the Sirigere cross on the NH4. Many private mini vans, jeeps are available to Sirigere (6 Kms). There is a nice guest house of the Ashram to stay overnight if you arrive in Sirigere at late hours.